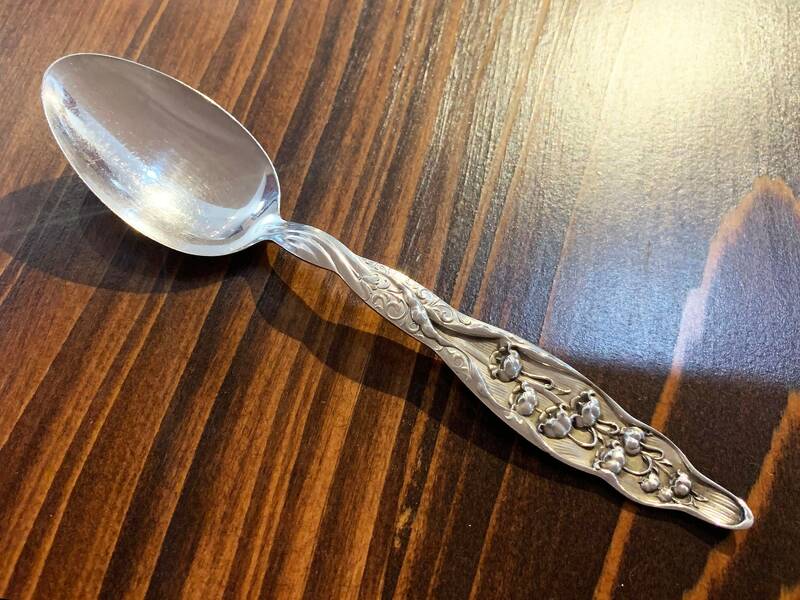 Dine in Victorian elegance with this stunning sterling silver teaspoon by Whiting Manufacturing Co. 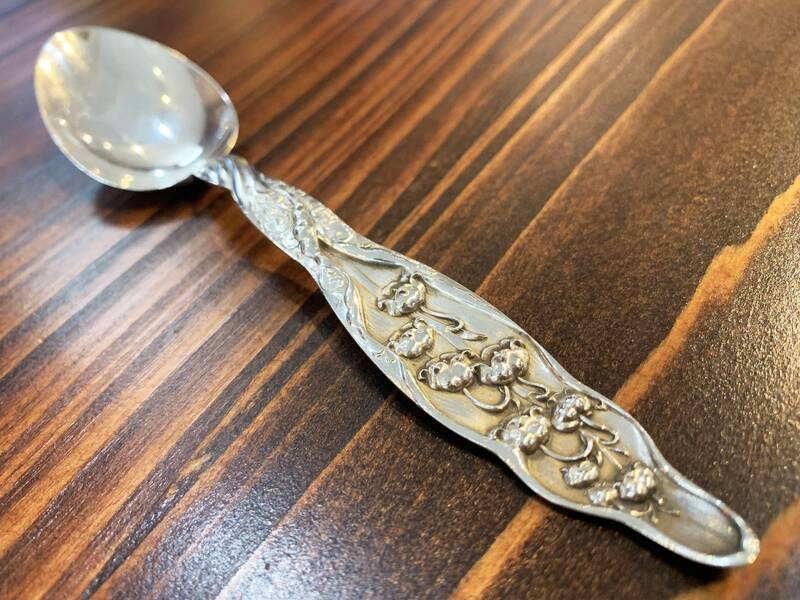 Designed in 1885, the Lily of the Valley pattern features an ornately textured floral handle. 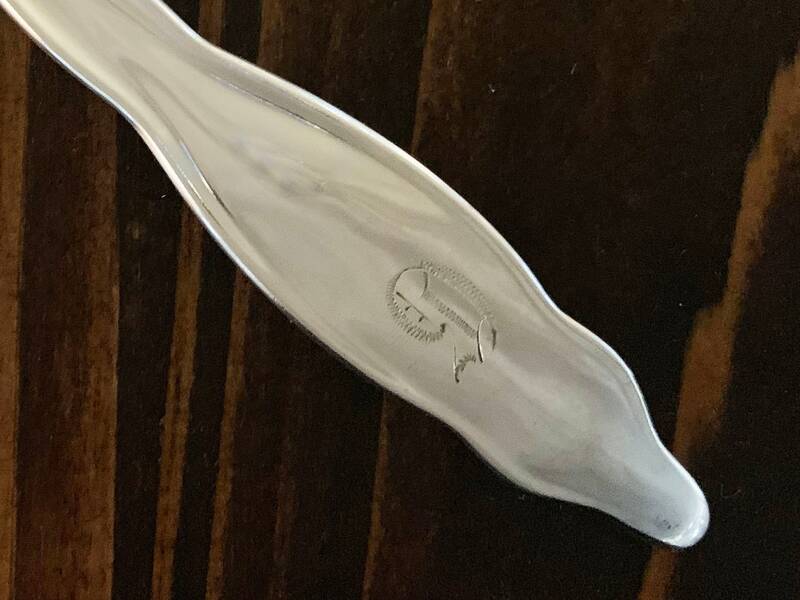 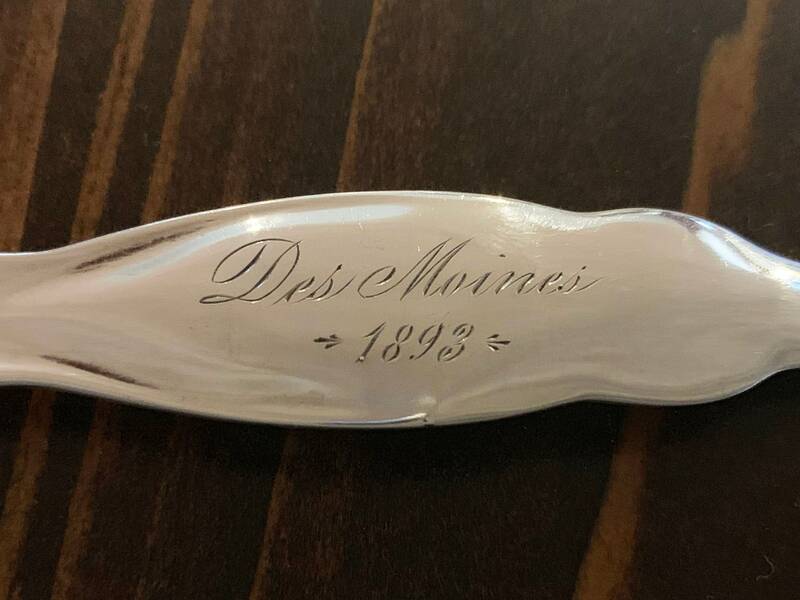 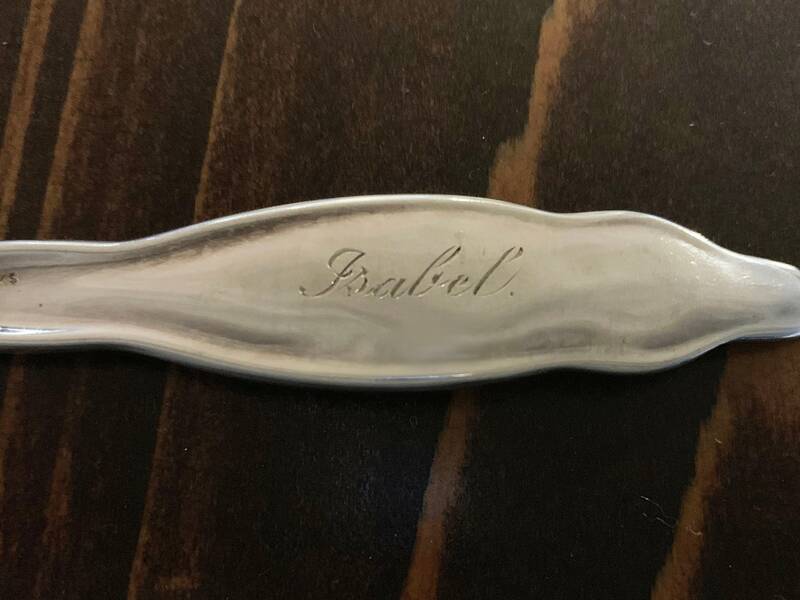 1) Spoon Monogrammed "Cousin Julia" and Handle Monogrammed "Des Moines 1893"
Originally Tift & Whiting, Whiting Manufacturing Co. was founded by Albert T. Tift and William D. Whiting in 1840 in North Attleboro, Massachusetts where they specialized in creating fine jewelry. 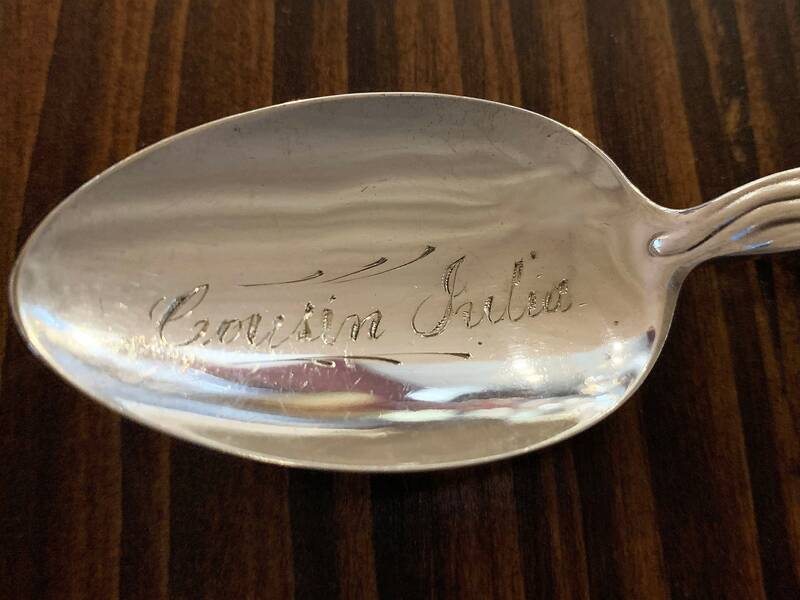 By 1910, the company had settled in Bridgeport, Connecticut and expanded its collection to include silverware. 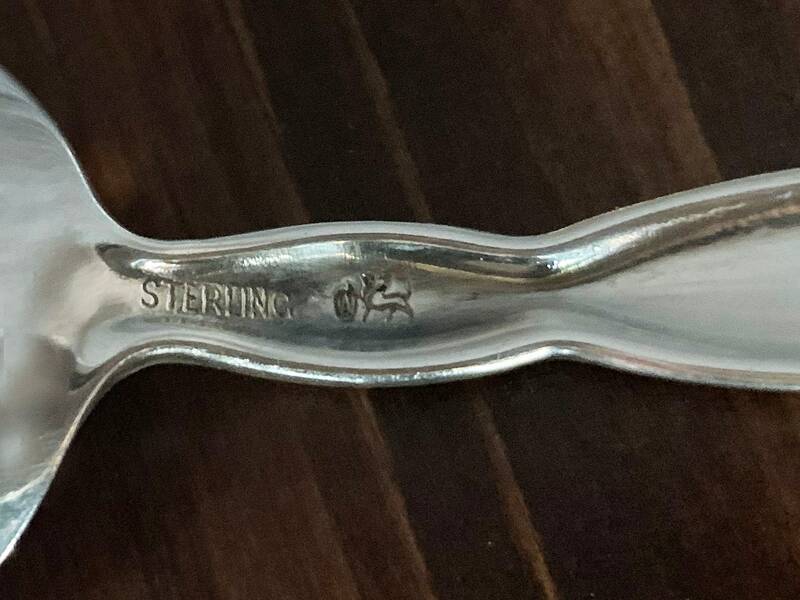 In 1926, Gorham Corporation purchased Whiting Manufacturing.